ESA’s pioneering Cluster mission is celebrating its 10th anniversary. During the past decade, Cluster’s four satellites have provided extraordinary insights into the largely invisible interaction between the Sun and Earth. Cluster’s four satellites fly in formation around Earth to provide a 3D picture of how the continuous ‘solar wind’ of charged particles or plasma from the Sun affects our near-Earth space environment and its protective ‘magnetic bubble, known as the magnetosphere. Occasionally, the solar wind becomes turbulent and gusty, buffeting Earth’s magnetic field and producing high-energy particles. These storms in the magnetosphere can hamper electrical systems aboard satellites and on the ground. In the worst cases, they can destroy vital electronic components, rendering satellites and other electrical technology dead. “Cluster has provided us with a wealth of data to understand the physical processes behind space weather better,” says Philippe Escoubet, ESA Cluster Mission Manager. The observations have revealed a dramatic realm of invisible violence. 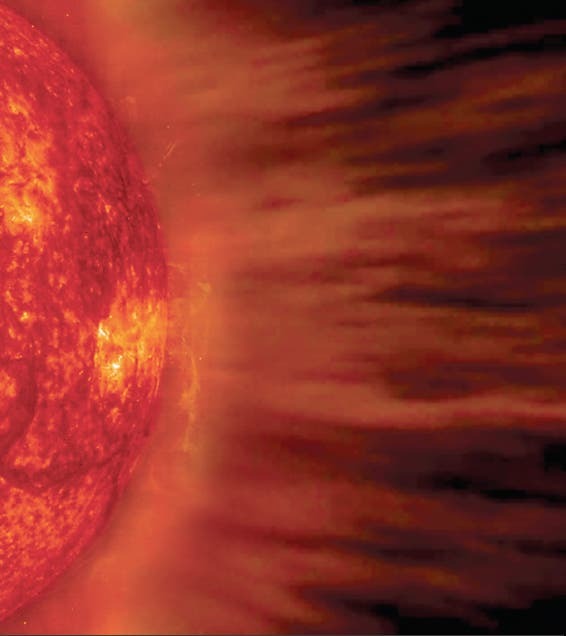 Cluster has investigated how the solar wind penetrates near-Earth space and discovered that, under certain circumstances, magnetic whirlpools larger than the entire Earth bore into our magnetosphere, injecting their venomous particles. When these solar wind particles reach Earth’s atmosphere, they trigger the sublime glow of the northern and southern auroras. Here too, Cluster has been a revelation. 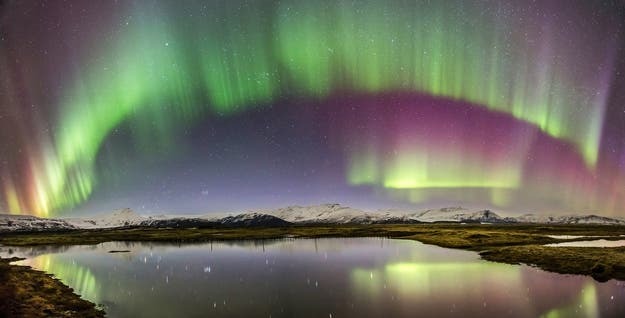 Cluster has confirmed that black auroras, strange electrical phenomenon that generate dark, empty regions within the Northern and Southern Lights shown below, are a kind of 'anti-aurora', sucking electrons from the ionosphere. Undoubtedly one of the major highlights of the mission has been the first 3D map of the heart of a ubiquitous magnetic process called reconnection. This takes place when magnetic fields collide, releasing energy and allowing previously separated plasmas of electrified gas to mix. At the very centre of the event is something called a null point. Cluster has provided scientists with the first 3D picture of a null point, delivering vital new information. At the time of the reconnection event, the magnetic field was found to be twisted into a 500 km-wide tube in this region. Understanding magnetic reconnection is a major quest in physics. It is responsible for solar flares, tremendous solar explosions that can be a billion times more powerful than an atomic bomb. In Earth’s laboratories, unwanted reconnection frustrates efforts to produce electricity in fusion reactors. Such success came eventually after a dramatic beginning when, on 4 June 1996, the first Cluster quartet was destroyed in a catastrophic failure of the Ariane 501 shortly after launch. But the Cluster team turned this disaster into a resounding success. The satellites were rebuilt and launched just four years later. “It was a tremendous achievement by the whole team to rebuild, test, and relaunch this mission in such a short time,” says John Ellwood, at that time ESA Cluster Project Manager. The second time, Cluster was sent into orbit two at a time using Russian Soyuz launchers. The first pair lifted off from the Baikonur Cosmodrome in Kazakhstan on 16 July 2000, and the second pair a month later. All four have been circling Earth in formation ever since, conducting their own style of complex orbital dance. And so began a decade of extraordinary science. Cluster is helping scientists to understand how plasma behaves in all environments. With the four satellites still in excellent condition, the mission has now been extended to 2012. NASA to Investigate Magnetic Explosions at Galaxy Cores: "Something Fundamental Going On That We Don't Understand"
NASA: "The Milky Way and Universe is Awash in Water"